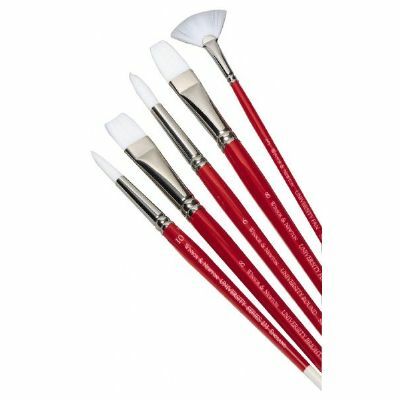 All purpose range of extremely versatile white synthetic brushes. Stiff enough to use with fluid oils and acrylics yet soft enough to use with watercolor. Polyester filaments offer excellent spring and shape retention and smooth brush marks. Durable and easy to clean.